TwinStar was started by a teacher, Dewey Noblitt, in Room 107 of Olympia High School nearly 80 years ago. Since then, we’ve remained dedicated to our educational roots by helping youth learn the principals of good money management. Since April is Financial Literacy Month, it’s a great time to think about this topic. 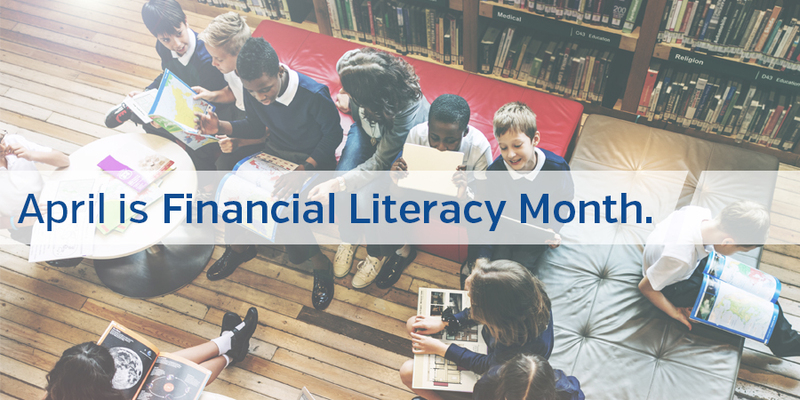 Financial Literacy Month is recognized in the United States as an effort to teach Americans how to establish and maintain healthy financial habits. Being a financial institution founded by a teacher, Financial Literacy Month ties perfectly to our roots in education. TwinStar is committed to being a resource our teachers navigate the new standards going into effect and to providing financial education to our youth. Something that many members aren’t aware of is that as the Community Development Manager I spend a good portion of my day in classrooms teaching students about money. From stories about saving money with Kindergarteners, to teaching High Schoolers about investing, my daily routine can vary greatly. From classroom visits to providing financial literacy materials for teachers to use, we are serving our members through investing in the youth of our community. We take Financial Literacy Month pretty seriously and wanted to do something special for it. During the week of April 24th, stop by your local TwinStar branch to pick up a Dollar Dog Fortune Teller (also known as a cootie-catcher) to have some fun. Also, throughout the month and beyond, our social media channels will be filled with facts, videos, and articles detailing ways our members can be more financially savvy. You can follow our social media channels at: @TwinStarCU. Article written by Amanda Stevens, Community Development Manager. For information on our Financial Literacy support, contact Amanda Stevens at 360-923-4427 or astevens@twinstarcu.com.